This new Real Housewife of New York is one knowledgable femme in the fashion biz. 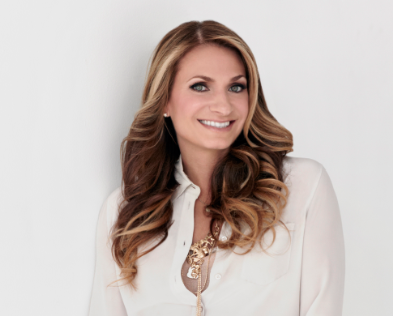 From working with Beyonce and Diddy to starting her own shapewear line, Yummie Tummie, Heather Thomson has lots to share with Style Solutions. New launches, mixing and matching…read on! S: How’d you get to be one of the new housewives on RHONY? H: I got a call from a casting director saying they were kicking my name around and asked if I would be interested in joining the cast. My first instinct was wow, thanks so much for thinking of me, but I felt it might not be the right choice for me or my family. When I really thought about it, being given this incredible opportunity would allow me to bring real issues that working mothers face on a daily basis to the forefront. Raising my two children and being a wife , starting and running my own fashion business, creating awareness for charities and doing it all while trying my best to be glamorous and balanced is all I could ever hope to achieve. S: What did you learn from working with Beyoncé? H: Beyoncé taught me humility. She is so gracious and respectful of people, no matter how big of a star she was. Beyoncé worked and still works today very hard for what she has. S: What about Diddy? H: Working with Diddy on his fashion shows was a real thrill. He was so incredibly hands-on and we literally worked around the clock as the show day neared. It was the hardest but most rewarding experience of my time at Sean John. Diddy is first and foremost an entertainer, and he taught me how to add the showbiz to fashion. S: Let’s chat Yummie Tummie! H: I created Yummie Tummie out of a selfish initiative after giving birth to my first child. I went to the shapewear department as a consumer looking to boost my confidence; but when I arrived, it was as if the shapewear department had been frozen in time! My options left me with nothing more than my grandmother’s girdles. After first having to kick my husband out of the room to get dressed, these traditional shaping garments would roll, ride, bite and frankly hurt. I was left feeling downright self-conscious. I had a moment of clarity and sewed the first, and what would become The Original Yummie Tummie patented 3-panel shaping tank. Yummie is my descriptor for all things good. When my first child was in my belly, I called it my yummie tummie. People would touch my stomach and I would say, ‘I know, isn’t it yummie?’ S: How do you describe your personal style? H: I like to mix it all up. I’ll wear something from J.Crew with a pair of Sergio Rossi shoes. I approach the process with a stylist’s eye to create a full look, but never head to toe in one designer. And, I always use my Yummie Tummie as a foundation. S: Whenever guests go on WWHL, they get to sip their favorite cocktail. What’s yours? H: Anything with tequila! S: What’s up and coming for you? H: We’re working with Lycra on a new technical fabric for a collection to launch next spring. I promise it will be the most beautiful and comfortable shapewear to hit the market. We’ll also be adding colors and washes to our line of Yummie Denim. And if that wasn’t enough, we continue to expand internationally, spreading Yummie around the world!